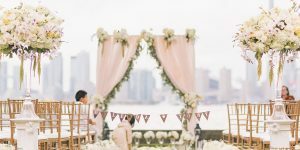 Only thought of getting wedding surely brings happiness in one’s face, however, planning a wedding is a huge logistical task and there will surely be some boo-boo on your part. Mistakes are parts and parcels of the wedding journey. But to have NO WEDDING DAY REGRETS at all, will be great. Through this article we want to share experiences of couples who wed-locked in the past. Sometimes, it is highly recommended learning from other’s mistakes rather to do them yourself. Wedding is such event in life. 1. Not making a check list before getting started. Yes, people do this! This may sound bizarre to you but people do this. Don’t just rely on your mental capacity, make a check list and keep updating it as and when needed. You might have participated in many other wedding planning procedures at home, but it’s your wedding, and you will surely not want to regret later. 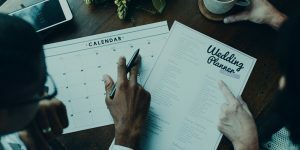 Having a checklist make your job easy and smooth throughout your wedding planning journey. 2. Abiding yourselves too much with time. Yeah, mostly couples abide themselves with time so much that in the process they forget to enjoy. That’s absolutely true that time flies, but your wedding is not just an event to finish off with some set rituals and ceremonies. There are a lot of things you two as a couple should do in your wedding, just to avoid regrets. Albeit, having a really packed day, there is no harm in taking a step back and remembering to enjoy it all is very important. Find moments throughout your day and don’t miss to enjoy those beautiful moments. 3. If not pinned your interest at Pinterest. If you have really missed to research well at the wedding planning stage then surely you will have regrets later. As, at Pinterest you can get all you want to have your dream wedding. You can pin everything for your wedding at Pinterest, not just that in fact you can even find best wedding suppliers at Pinterest. Especially, if yours is a destination wedding, you can find your photographer, along with ample of couple shot ideas there. Try out! It’s really easy to get amazing ideas for your wedding at Pinterest. 4. Have you chosen your first dance song yet? Your first dance can an absolute special moment of your day if planned correctly. Especially when you have booked a live wedding band for your reception party. Performing on live band would be a different experience altogether and not preparing beforehand would surely make you regret later. 5. Have you given the list of songs to the wedding band? Well, who would not want to watch couple dancing on the stage. But have you two decided which song you two will dance on. This is important that you have prepared your dance. See, you can decide some impromptu song there if you two are really blessed with nice dancing skills. Otherwise it is good that you choose your songs well in advance and give it to the wedding band. 6. Not inviting someone you were closed to at some point. Oh, you might have had a bad experience with the person you called your best friend since childhood. Now it is your wedding, and there is no harm in extending an invitation to the person, unless the issue is not that great, unless he/she has not wronged you or your family in some way. Just send the invite, at least you won’t regret not inviting the person at your big day. 7. Worrying too about minor details. It is your wedding and you need to worry too much about things which will hardly matter once the event is over. As long as something is not too big to think about, give yourself enough time to rest and relax in the days before the big day. Otherwise, you know how it would impact your wedding photographs, you will look stressed and tired in all your wedding photographs. In the end, what matters the most is the beautiful memories of the event and not the minor details which went a bit wrong in the process. Don’t exhaust yourself because of anything, otherwise you will undoubtedly regret it later. 8. Not discussing with your family and closed people. Undoubtedly, it is your wedding. But it is not just you two who are involved, in fact it is your families who also exists. You may think that your choices and preferences are important or maybe best, but there is no harm in sitting with families and then deciding on the wedding venue, dates, vendors etc. Before you finalize anything from your photographer to wedding vendor, it would be great if you discuss the same with your parents. If you know what they are looking for your wedding and aligning their needs with your requirements, you will end up having a great show finally. Also, the whole process would be hassle-free process. 9. Not taking the time to get photos with family and close people. You may have unlimited memories of your special day once it is over. However, your wedding photographs are the biggest assets of your big day after the event is over. Do not hesitate to clearly tell your photographer to capture group photos or your photos with your favorite people. Get every photo you want of your wedding. After all it’s your day and you definitely have all the prerogatives to have the best moments of our wedding which you will surely cherish throughout your life. No matter how tight your schedule is, taking out time for photos with your family and close people will be something you’ll feel grateful for having done so. 10. Not creating a wedding only email address. While you are planning for your wedding, it is good that you create a wedding only email address separately, like this you will have a clutter free inbox. Also, all your wedding related emails will be in one address and it will be easy to track all the emails either from friends or vendors there. Keeping everything synchronized and in place is vital once you start your wedding planning journey. You can include all the required details of your wedding like date, venue, etc., along with your signature at one place so that you don’t need to answer same details again and again. This way you will be able to save plenty of time. 11. Not booking the vendors on time. If only you are lucky, you may get to book your favorite wedding photographer at last minute, but hardly has it happened! 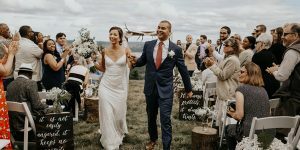 Whilst planning your wedding, undoubtedly, you will come across few vendors that you completely fall in love with from your photographer to your wedding venue or wedding band. The biggest wedding regrets come when the couple miss to book their first choice of wedding vendors. More often than not, all the best vendors or the popular ones are booked very well in advance. If you wait, you lose! You have no idea how many couples are getting wed-locked on the same date as you guys are. Don’t let someone else book your favorite vendor before you do. 12. Choosing style and design over comfort. Your wedding outfit is something which you will wear for long hours on the day of wedding. If you only go for style and design and ignoring the comfort part of it then surely at the wedding itself you will end u having all the discomforts. Make sure that the outfit which you buy for your wedding day is not just stylish, beautiful, captivating but also comfortable upon wearing. Consider various aspects of it like are you able to walk easily with it on, is dancing possible in that outfit, check fitting and comfort properly. 13. Not hiring a videographer. Having only wedding photographs is becoming a trend these days and couples are just passing the idea of hiring a videographer for their wedding. Considering videography and extra cost. However, while you will be busy in your wedding you may miss to enjoy many things at the event. Having a videographer at your wedding will be a great idea. As you may re-live all those missed moments through the video tapes of your wedding, even after your wedding is over. You can include videographer in your wedding budget, it will be a wise decision all in all. 14. Compromising on best photographer. Of course, wedding is a pricey event and we all know that. Considering everything else important than your wedding photographs is no good decision. Your wedding photographs are biggest memories of your big day. This is something through which you will re-live your wedding again and again even after it is over. Do not compromise on your favorite photographer. Have a separate budget for your wedding photography and hire the best wedding photographer for your wedding. You might have heard too many good things about your wedding vendors but believe you me that is just not enough to hire someone for your big day. Only doing online research and reading few fabulous reviews about the supplier just won’t serve the purpose. Make sure that you meet your vendor in person before finalizing the one. Be it your wedding photographer or your wedding caterer, it is important that you meet them in person and clearly you’re your requirements to them. Otherwise, later you will regret not meeting them before the wedding. 16. Not getting vendor agreement in written. Getting vendor agreement in written is very, very important. And, if you miss to do so, you will surely regret it later. Having everything in written is ideally a good thing, this way you keep things clear to both the parties. Also, in your written agreement all the terms and conditions are mentioned which both parties know well and if anything goes wrong, you can at least take some actions. 17. Paying all the money in one go. Well, we understand you are tend to pay all the money in advance but in your wedding make sure that you don’t follow this practice. You should always pay your vendors and suppliers in parts, if you will pay the entire money in one go, tomorrow you won’t be able to say anything even if you don’t like some service or product. Whenever you pay your vendors pay half as the booking amount and rest after the wedding is over. 18. Not sticking to the budget. While you started your wedding preparations with the budget itself, but gradually you went off the budget. Wedding is a pricey affair, a lot of money is spent in a wedding irrespective of its size. Still, whatever budget one makes for a particular wedding it goes a little higher than that. It is fine, but not sticking to the budget and doing things just against the budget is not advisable as you will regret this later. Your overall budget can go maybe 5% to 10% up but not more than that. You have to decide your limit initially, as, afterwards it will be really tough to do. You might having budget constraint, but believe you me hiring inexperienced vendors in order to cut the cost will be a biggest regret you can ever have. You may cut cost in other expenses but hiring unreliable or inexperienced vendor can be a great pain later. It is better that you do a lot of research before you finally say yes to the vendor. After all, money is involved even in hiring inexperienced one, why not to hire the reliable supplier in just a bit high cost. At least you will be sure of good services at the big day. Research your vendors before you book them, make sure that they are reputable in the market. ☺ ☺ Don’t be caught up by cheap pricing. 20. Not checking out on bridal salon. This is a trap, believe you me! You may have heard good reviews on some bridal salon not necessarily it is the one you should go just because your friend said so. No matter how tight your schedule gets, make sure that you do good research to find out the best bridal salon for your wedding. Place to place bridal salons vary, you need to be clear about your requirements. Do not just fall trap of the first one you visited, of their alluring packages and prices, see more, explore more salons in and around are. Cost may vary but you know that it is your wedding and your make-up will definitely make the difference. You will definitely want to look your best at your wedding. So, spend some time to find the best bridal salon for your wedding and yeah don’t miss to book it in advance once you find out the best one. 21. Not getting engagement or pre-wedding shoot done. Well, it is not mandatory but there is no harm in going for a pre-wedding shoot as it will give you too sometime to understand each other, to know each other well, to have nice time together, and so on and so forth. Pre-wedding shoots are in fashion and there is a lot you two can do together at the shoot, a nice way to know each other and spend time together with. It is better that you take a wedding photography package which includes pre-wedding shoot too. Like this you will have amazing memories of before wedding, which you will surely cherish afterwards. 22. Not creating a file or folder of wedding expenses. You are not a super computer, hence it will be difficult for you to by heart everything related to your wedding. It is best that you create a folder or file wherein you can keep all the wedding related bills and receipts. This practice will not only save your time but also make your life easy and convenient later when you will pay final amounts to your vendors. 23. Not involving anyone for help. It’s going to be a problem later. You may be a perfect person in everything you do. But your wedding is a task, there will be no problem if you ask for someone’s help in it. You may ask your friend or maybe your younger sister to assist you in your wedding preparations. This way you will have differing ideas and opinions while making purchases for your wedding and you never know how these ideas can be helpful in overall wedding. Also, you will not end up exhausted and tired, you will have someone to be with you whenever you want. Tell your friend very much in advance that you will need her in your wedding shopping and preparation so she is ready for it. 24. Not getting your diamond insured. Your engagement ring is worth insuring, you will never want to lose the diamond from your love like that. It is better to get it insured rather to regret later not doing so. 25. Paying too much heed to the timeline. Of course, timeline is important and you have been great at following the timeline ever since you starting planning for your wedding journey. Still, there is no problem in running behind your schedule. Especially when that time is spent with your favorite people just before your wedding. Trust me, those will be the moment which you will cherish forever after your wedding. 26. Not visiting the wedding venue in advance. Alright, you attended a party in that venue earlier, that’s great. But have you got the chance to scour it completely then. I don’t think so! Hence, it is better that you visit the venue in advance before you send the deposit for booking. The wedding you attending and your wedding in the same venue are not necessarily have same details to consider, maybe the wedding you attended was an intimate affair, maybe they just invited only few close people and hence the area looked bigger and sizeable. Yours maybe a big fat wedding, you might want to invite many people, in such a situation it is good to visit the place personally before you book it, unless it is not a destination wedding at some international location. Visit the location, check all the services they provide, what all is included in the package, etc. 27. Too much of interference. When you have finally told all your requirements to your wedding suppliers, your job is done there and then only. Have faith on your vendors, trust that they would do their best to give you the best of experience at your wedding. If you will interfere too much in their work they will be annoyed, it’s better to trust your suppliers rather to regret your behavior later. This is for grooms, we have found some grooms get really drunk at their wedding. Trust me this is the worst you can do at your wedding. It is good that you are happy, but happiness can be expressed in various other ways than to get drunk and going for your own wedding ceremony. It is your wedding and that itself is enough reason to be happy for! 29. Not spending quality time with each other. These are your final days of bachelorhood, later you will be a responsible couple and things will not be same anymore, believe you! Yes, it’s good to spend time together irrespective of tight schedule. Your wedding is once-in-a-lifetime event, but the days before your wedding the courtship period is equally important for you two. 30. Not considering other’s ideas. It is your wedding and you have everything planned, how it should be but there is no harm in taking other’s opinion into consideration. You never know when someone’s idea can be of great help to you. Like for example; you went to purchase your wedding outfit and you have a certain mindset what and how you want to look at your wedding. It is not necessary that the way you think you should look is a perfect look, maybe your friend advice or the designer’s advice is better than yours. Consider their opinions while you make any decision. 31. Not relaxing and reacting on everything and anything. It is okay that something didn’t happen your way, it is absolutely fine as long as something is not big enough to pay heed to. You need to embrace the imperfection, as perfection is an illusion. Nothing in this world is perfect, it’s just how we perceive things and nothing else. Things may go a bit topsy turvy at the wedding, it is okay. Nobody will remember what went wrong as long as you are capable of handling things peacefully without reacting much on the situation. People may forget the problem occurred but if you give bad reaction, then there is no chance. Focus on what is important not on what is not important. Just relax, breathe and enjoy your day to the fullest. 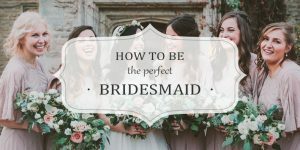 You may be a busy person, but it is your wedding and primarily you need to enjoy the wedding to the fullest now. As, you will not get another chance to live those moments, this is the only and only chance you have. Just be there completely, chuck the phone…. Enjoy your big day! 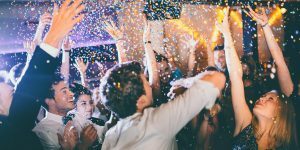 If you also wish to have no wedding regrets, then just follow these 32 simple yet best tips to avoid regrets later and have a perfect wedding experience with lot of fun at your wedding.